Our site is filled with over 1 million products from over 1400 manufacturers. But unlike our competitors, we don’t stop there. The CME team drives the logistics, assembly and installation requirements for our clients. With so many moving parts, we offer opportunities in project management, logistics, installation, biomedical services, account management, digital marketing, online merchandising and more! We’re searching for people who enjoy finding solutions for clients needs. We need road warriors who want to ditch the desk and join our team in the field. We need service focused people who can handle multiple projects at the same time. You’re good at working with your hands, building and installing a spectrum of products? We need you too. 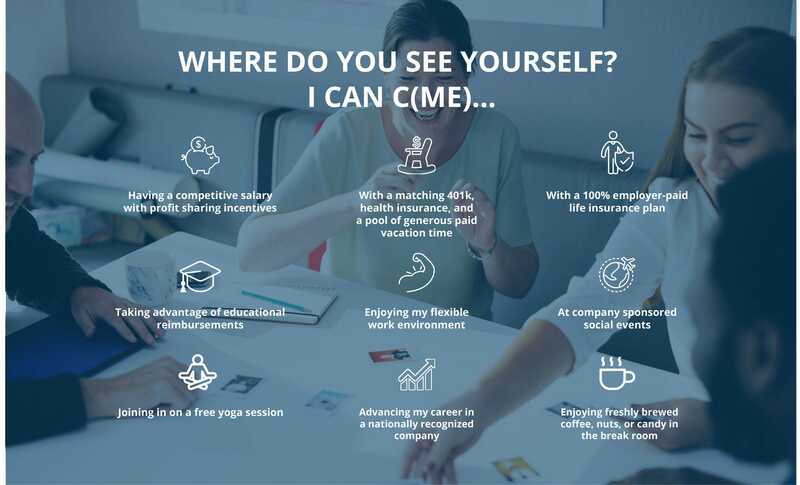 When you’re part of a company who does it all, you’re bound to find the career path that’s right for you!